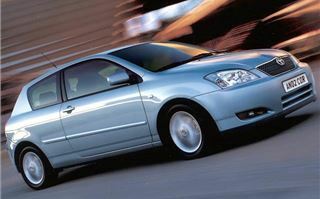 Think Toyota Corolla and you think reliable but characterless. The new 5-door version looks like a Chinese die-cast model of a Skoda Fabia done from memory. And your first impressions confirm your prejudices. Light controls. Over-light steering. Short gearing. Dashboard flat as a coal face. Nothing to get even mildly excited about. Then you take it out for a second time and find Dr Jekyll blurring into Mr Hyde. First you notice it's got a fair bit of go. 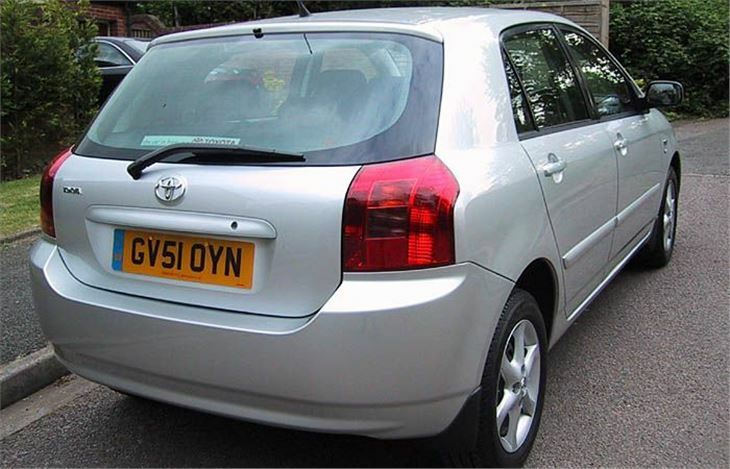 The engine is sporty and fun to drive rather than dull and anodyne like some other 1.6 litre hatchbacks. Once you dial in some speed the wheel weights up in your hands, you begin to feel the road through it and, much to your surprise, you find that the car handles well. It grips hard at the front and steers accurately with no slop or excess body movement. The door mirrors give an excellent field of view. The gearchange is top notch. Though you never expected to, you discover you’re enjoying yourself. 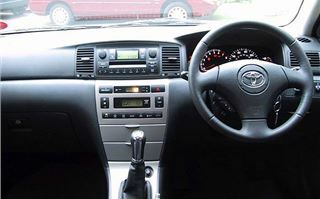 You take a second look at the dashboard and start to think it's really neat and high-tech. You begin to appreciate all the useful places to store things. 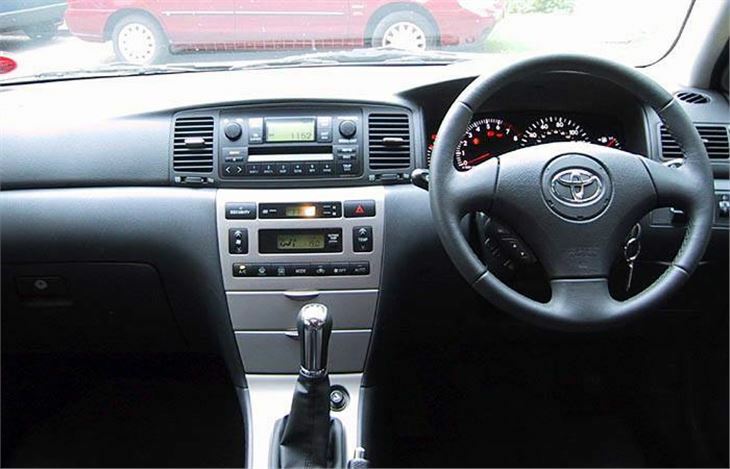 The small, leather-clad steering wheel nice to hold. The seats are superb: the right shape, with the right support and upholstered in classy velour. You notice they've even covered the inner A pillars with velour, like the VW Golf Mk IV. You feel there’s a bit of quality about the car. What’s wrong with it? Not much. 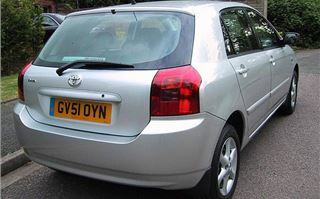 It's difficult to see out of the back when reversing, my car had a bit of a whistle from the driver’s side door seal, there’s a fair bit of tyre noise, ride quality isn’t up to the best in class and the low gearing means the car drones at 80 and only does 34 miles per gallon. Really, the 1.6 could do with the extra cog from the VVTL-i Sport. But these are quibbles, not irritations. Nothing actually annoyed me. It felt almost as if the car was designed to pacify by getting on with the job in as pleasant and as fuss-free manner as possible. I can see a lot of older people trading down from Volvo S40s and V40s into Corollas. But equally I can imagine lots of younger people trading up out of Astras and Focuses. The key to that, of course, is the 190bhp, 140mph six-speed T Sport. And the range: Manuals or automatics. Four petrol engines and two diesels. Three door, five door, estate or Verso bodies. 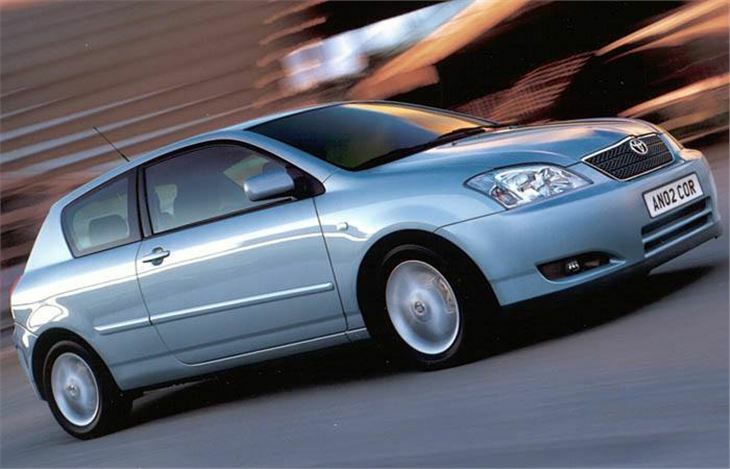 Corollas aren’t stuck in a rut of being any one group’s kind of car. Check the prices and you will see that no Corolla actually comes cheap. 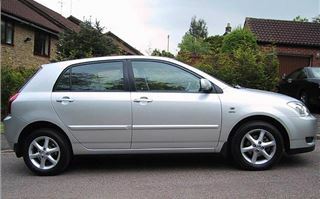 The Honda Civic starts at nearly £1,000 less and with similar range of engines and bodies is probably enemy number one. 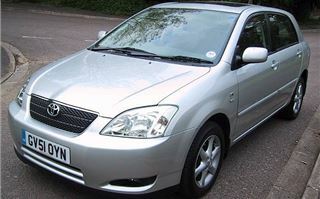 But even T2 UK market Corollas are very high spec, lacking only a/c and alloys. 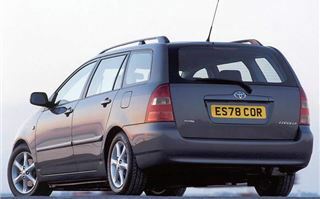 The whole point used to be that Corolla ownership was painless and that's why it's been the best selling car in the World for years. 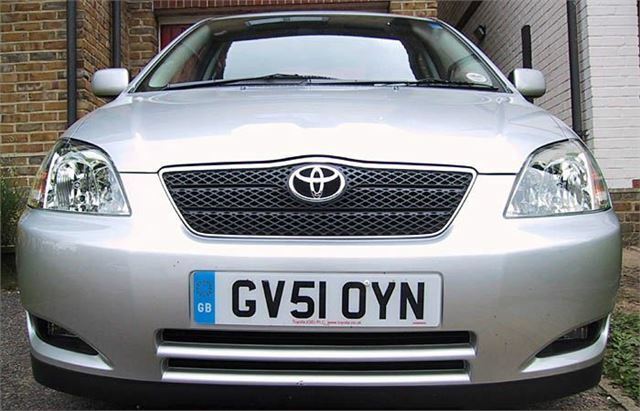 Now that Toyota has made it good to drive as well, you can’t really go wrong.